My inexpensive nail clippers are chrome plated steel. All the keys on my key ring are brass or some other non-ferrous metal (I checked with a magnet). The nail clippers have that small nail file built in. I have read a few blog posts that talk about using a nail file as the steel for starting a fire, and I wonder if it is possible with the small nail file in the nail clippers. Can I start a fire with the file in my nail clippers? Nail Clipper file is very likely made of stainless steel, which cannot produce spark. Same analogy in stainless knife vs. carbon steel knife. Even it is high carbon steel under the chrome, you have to break the coating off first (could take forever). You can certainly use the file to scrape ferro-rods to get sparks and start fire but you can do it with other material for the flint, too. 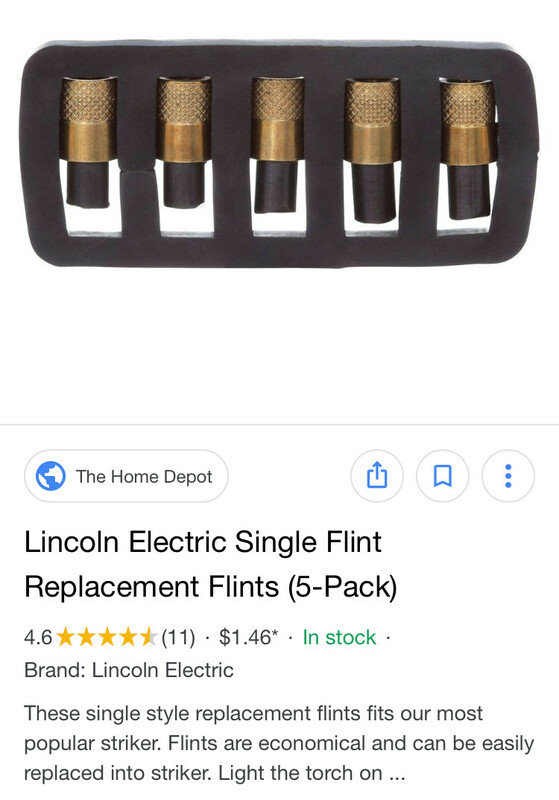 Yes if one of these tiny replaceable flints from a gas welding torch lighter lives on the chain of your nail clipper as well. The flints are so small this is reasonable. 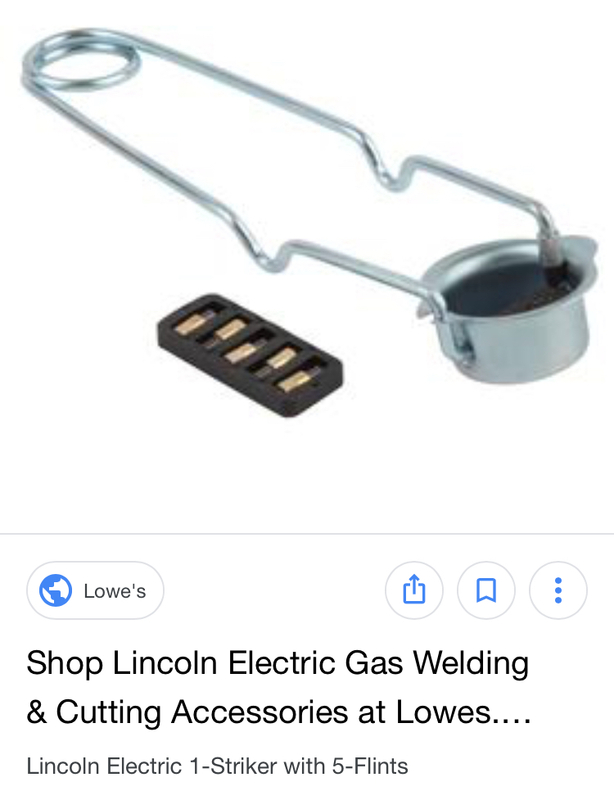 Apologies couldn’t find a picture that showed scale but the flints themselves are about the length of the eraser on the end of a pencil but smaller diameter (the whole spark striker—-the wire and cup device pictured—-fits in your hand it’s about can-opener size). Thanks ab2 for the suggestion in your Bunsen lighter comment. As far as an attachment method, perhaps a lanyard made by enclosing the whole thing in a section of heatshrink tubing, 3/16” / 5mm diameter or so, to be peeled off for emergency use. Note that you’d need to test this with your particular file, there are some made of such soft steel cut to such a dull edge you might be polishing the flint as opposed to making any sparks. It is also possible (as another answer indicates) that the clipper is made or plated with a material that will not spark.